Playing the smartphone game will affect the PlayStation 4 game. The latest issue of Weekly Famitsu has new details on Granblue Fantasy Project Re: Link, which was confirmed as launching for PlayStation 4 in Japan in 2018 at the 2016 PlayStation Press Conference in Japan today. Re: Link follows a story set after the heroes of the smartphone game finish up with Phantagrande. Although the last island of Phantagrande has appeared and the story of a new Skydom is depicted in the September update of the smartphone game, Re: Link will tell the story of a different Skydom. There are no major changes regarding other settings. Many characters from the Crew in the smartphone game will appear. You’ll progress through the story while controlling these characters. They’re still planning how to link the PlayStation 4 game with the smartphone game. They can’t share any details yet, but the idea is for various things to happen in the PlayStation 4 game if you play the smartphone game, and vice-versa. The character shown in the latest trailer is a key figure of the story. 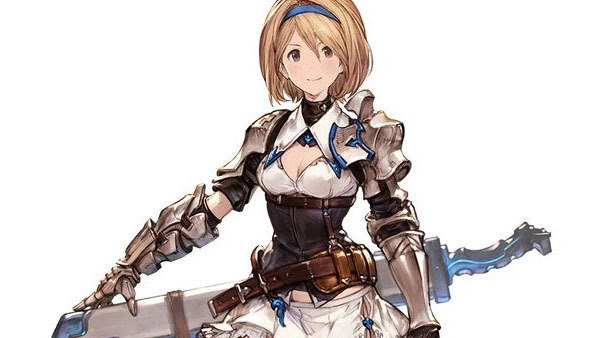 She looks similar to Djeeta, but is actually a different person. The genre is an action RPG. PlayStation VR support is under consideration. Right now the game’s single-player parts are being made, but they’re also thinking about a multiplayer story. As for multiplayer, they’re planning to put in a mode in which a number of players advance the story together, and a mode where players take down huge monsters together. If you missed it, catch today’s new trailer here.